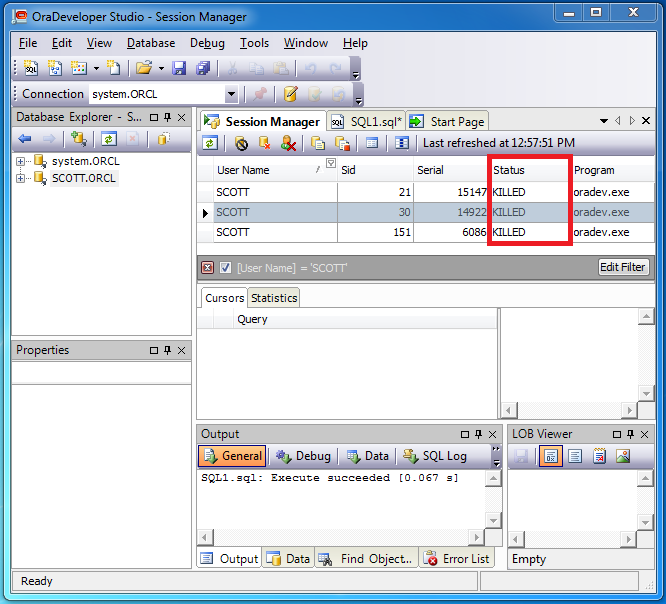 This block uses a built-in DBMS_SQL package to select data related to the sessions of some particular user and to create dynamic ALTER SYSTEM KILL SESSION queries for each session of this user. As you can see from the image above SCOTT has created three sessions one of which is active. 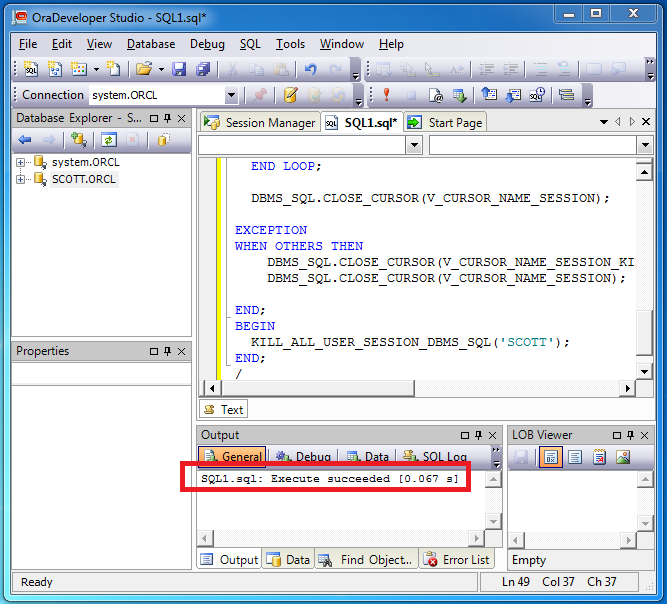 Let’s create an empty SQL document using the SYSTEM connection and execute the script. As you can see on the image above, all SCOTT’s sessions now have the KILLED status, and that’s what we wanted to achieve. You are right, using “execute immediate” reduces the size of code significantly, and makes the code simpler and easier for interpretation. 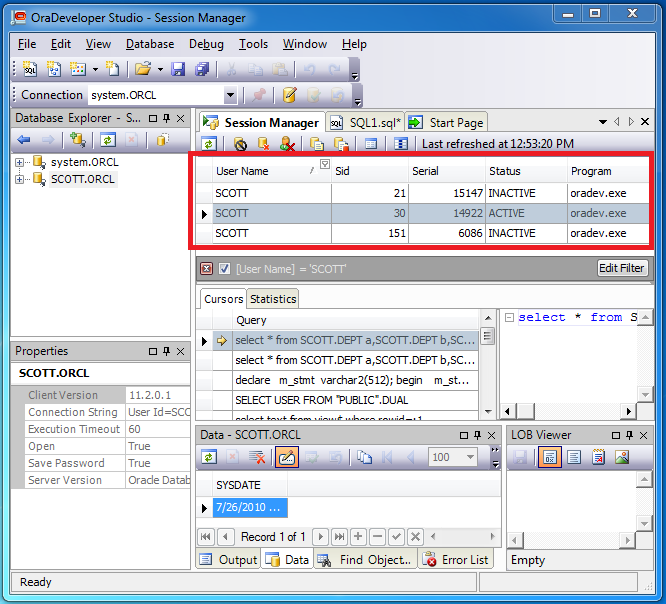 Really we’ve created a script using “execute immediate” in the beginning, but we had to rewrite it using the DBMS_SQL package, because this package can be executed on all Oracle servers regardless of the version. As it was written in the article, we used this scripts in autotests for our new product, dbForge Data Compare for Oracle, that supports all Oracle server versions from 7.3 to 11g.